The train just went by here. Do you know how I know?.............I can see his tracks!!!!! Great black and white and leading lines. I had to hunt a bit but I knew I had heard this riddle before! !🤣 Great leading question...and lines! 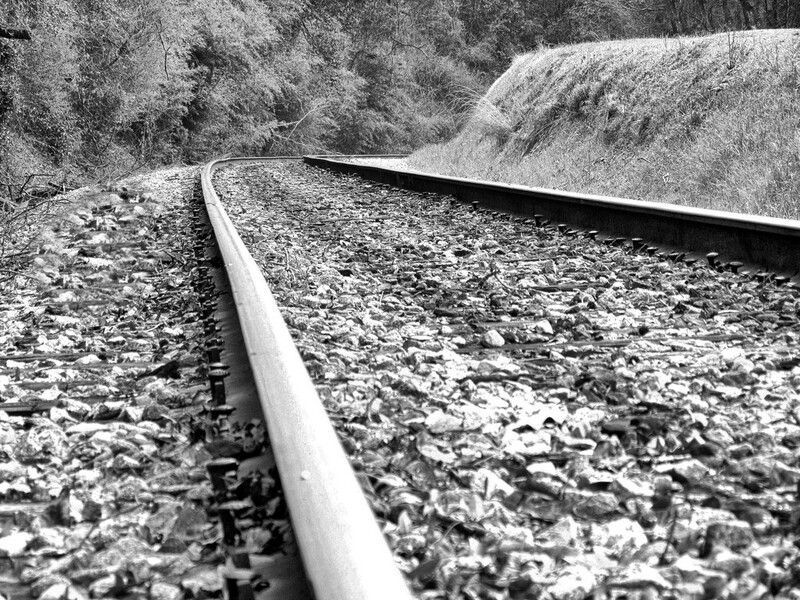 Railroad tracks are such great leading lines- I like your placement of the turn- has me wondering what's around the bend. @wyomingsis I wondered if anyone would remember! I should’ve known it would be you ♥ exact same place too! I think I like this one better than your coloured one. Silverefex is so good! Hhahahahah you are hereby awarded the Wittiest person on 365!!! Let's hope another isn't coming for a while. Woo hoo! On the Pp &Tp! @summerfield thanks for the heads up and you are welcome to use the joke! @gilbertwood glad you liked it!